The movie opens with Chief Rama and his wife chasing a woman around the room to retrieve an envelope she has in her hands. Chief’s wife knocks the woman out with an iron and they rejoice over the words on the paper that was inside the envelope. At this point I am not sure how to take the movie as the opening scene is very comical. Because of Chief Rama’s greed his son has been shot and instead of following his wife and son to the hospital he is there calling his commander to fret about the money. Greed and a hunger for money has consumed any concerns he has for his son. Even after Chief was robbed you would think that he would be more careful but there he is still meeting his young mistress and promising her money. It is the same way that his wife is still seeing her lover boy and enticing him with promises of the same money. Chief and his wife were most definitely two useless idiots that belonged together. They don’t know if they were betrayed from the outside yet still they go around blabbing their private financial affairs as if inviting robbery. It is this same lust that caused the Chief of Police to allow the case of money to be snatched right under his nose for a second time. The sight of a pretty young girl in distress rubbing on his leg made him lose his mind. I loved they way Prince David Osei’s played the character of Prince. He was so broody and dark. He appeared to be totally consumed with greed and would do any and anything for money. Why his friends trusted him I didn’t understand throughout the movie. In my opinion you can never trust anyone who is that money obsessed because you will mean nothing to them if the price is right. It was only at the end of the movie that I understood why they stuck with him. 15 minutes into the movie and they start showing subtitles. It was very strange because the English wasn’t broken or any different to how it had been previously. The subtitles were shown on and off throughout the movie. In some parts the Subtitles weren’t even correct. For instance; Chief tells the police “It will get very messy” and the subtitles say “it will get very massive” Huh? Say What? The robbers didn’t seem all that serious. Why the hell do they keep getting out of the car and hanging around when people are looking for them? Even when they got out to dump the body I thought that they were going to run from there but oooooh no they got back in the car with the police on their trail. Say What? Why didn’t they dump the body when they were in the clear? I really enjoyed watching the movie and would recommend it. It is worth watching and you will be impressed by the twist at the end. The movie moved at a very good pace and kept you glued to the screen. Ok ok let me aloborate I wasn’t stuck like Superglue, it was more Pritt Stick but the Pritt Stick was holding up very well. It was action packed and thrilling at the same time while the music helped to heighten the tension at the appropriate times. It is only at the end that we learn exactly why the robbers did what they did and we can have compassion. I was happy that the characters were well rounded and not all bad because it made them more real. It was a great ending and a befitting title. The story came full circle and everything that didn’t make sense at the beginning made sense. Great job! From my local market! Sorry eh? And trust me you shouldn't be searching for Through The Glass! irokotv.com or ghananation.com. both of these links can be found on the actor artus frank’s website at artusfrank.com. please visit and leave a comment in the comment section. thanks! btw I’m from the US as well. 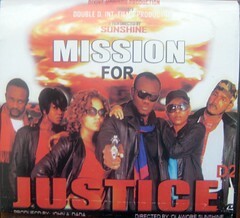 Love nollywood!